Kevin Spacey is facing a felony charge for allegedly sexually assaulting a teenage boy. The allegations, which date back to 2016, resurfaced in November 2017 when the boy’s mother Heather Unruh publicly accused Spacey of sexually assaulting her then 18-year-old son at The Club Car on Nantucket Island in Massachusetts. According to the Boston Globe, Spacey is scheduled to appear before the Nantucket District Court on January 7 on a charge of indecent assault and battery. Timed almost synchronously with the latest Boston Globe update, it’s hard not to see the clip as a response to his trial. 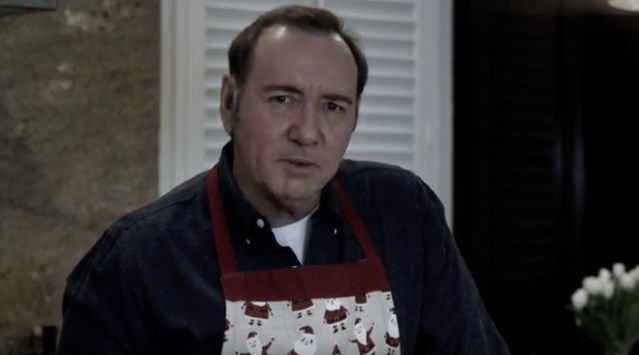 Spacey also shared the clip on Twitter, marking the first tweet since his initial response to the October 2017 allegations. Since then, Spacey has faced other allegations of sexual assault which lead to his removal from both House of Cards and Ridley Scott’s film All the Money in the World.